Watermarks are still a hot topic, especially because of the Google Image Search changes and Pinterest. Although there are many arguments pro and cons, in my opinion anyone who puts an image online should by all means use a watermark. It might not protect you 100%, but it will certainly represent your brand. 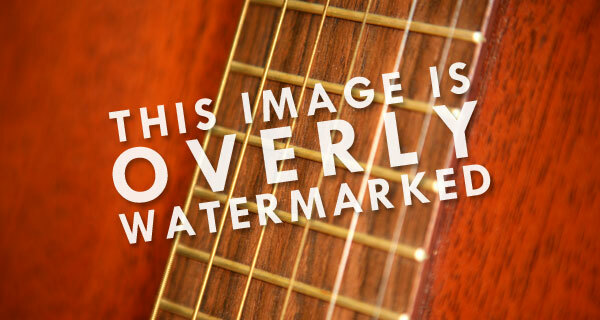 Here are some things about watermarking every photographer, either amateur or professional, should know. How to protect artistic works? This question is hardly a new one, since art historians are still discovering lost prints beneath another paint. Despite being into the digital age for a while, sharing photographs online remains an important issue for professional and amateur photographers world-wide. 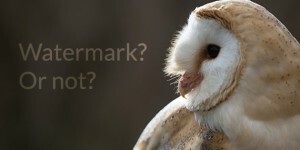 Can using a watermark help you protect your photographic work from theft? Perhaps not, but it can help you make it more difficult for others to unintentionally use your images. Although the argument that watermarking photographs can protect your intellectual property does not hold water, it might annoy “borrowers”. A free photo watermarking will provide an extra step for people to go through to steal your work. As a matter of fact, the only way to protect your intellectual property is not sharing it online. As a photographer in this digital age, it’s quite hard to refrain from putting your photos online. Nevertheless, you can avoid sharing high-res work on your website or any other photo-sharing sites. Even if they are not useful at protecting images, watermarks are perfect for promoting you and your work. Most people who re-post photos somewhere aren’t really doing that in order to present someone’s work as their own, but because they simply like those images. Bloggers, for instance, collate their favorite photos found somewhere on the web, so the inclusion of your photos should be taken as a compliment. A blogger who uses a proper web etiquette will include a link back to where the photo was found. Nevertheless, not everyone will do this and that’s why a nice, subtle watermark should be included at the bottom of your image. Although watermarks do have some disadvantages, for some photographers, such as those interested in wedding and portrait photography, marketing advantages of watermarking significantly outweigh the disadvantages. Potential clients can see a name of the studio or a photographer and hire them if they like photos. So, in commercial photography, watermarking is totally advisable because it leads to business from those people who see and admire your work. Large photo agencies such as Getty place watermark on all their images so, why wouldn’t you do the same thing? You like your work and you would like to share it with the rest of the world. So, let people enjoy your art! Use your watermark to reach out to consumers and other photographers and let them know who made that breathtaking image. By treating them all as suspected thieves, you’ll distract the photography lovers from your nicely crafted composition. 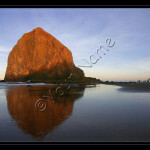 If people see and like the image, your watermark will guide them to see what else you can offer. Placing a watermark can be tricky: you need to put it carefully to protect the image, but without detracting the viewers from the photo. Ideally, it should never be placed on a smooth or solid background, because it makes it easy for someone to remove it completely. 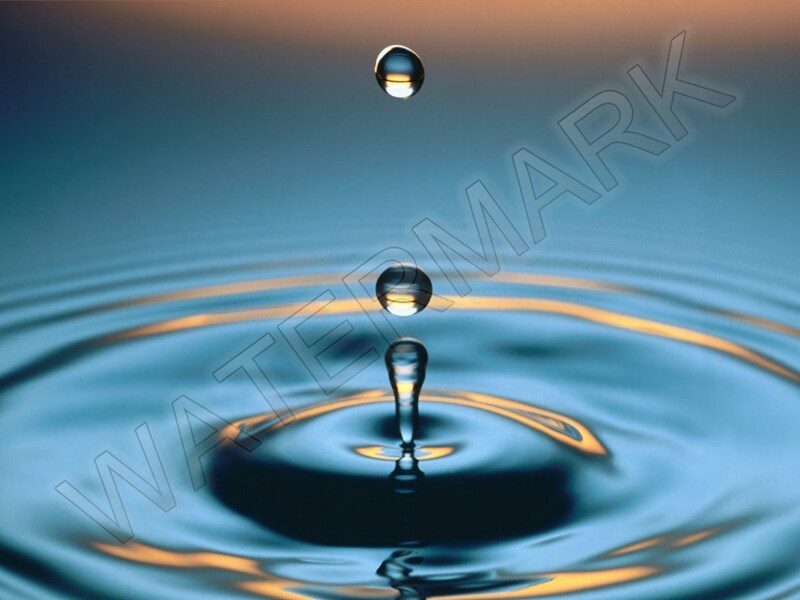 Although centrally located watermarks are the best solution protection-wise, they are usually too much for viewers. Blending the watermark into the photo is probably the best idea. Another thing you should consider is the size of the watermark. It should be large enough to protect the most of the photo’s details, because it means it couldn’t be removed without significantly damaging the quality of the image. Semi-transparent watermarks seem less obtrusive, but they can still protect photos. 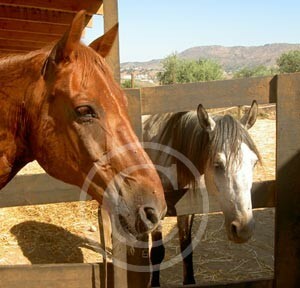 Oversized watermarks are, nevertheless, a common practice in photo stock business. High resolution images can be used for wide format digital printing, therefore it’s of the highest importance to protect them. I’m not saying your photos will end up on t-shirts made in China, but you should do your best not to let that happen. Ever. It’s not only about being paid, but also being credited for your work. Even photographers who don’t use watermarks for low-res images think that putting them on hi-res photos is a clever idea. 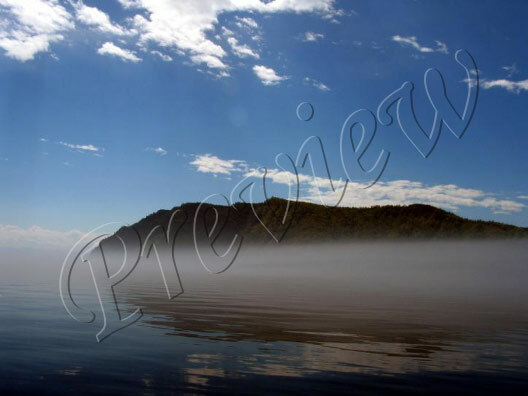 Nothing is perfect and watermarking is no exception. Watermarking are distracting foreign elements, especially the ugly ones. 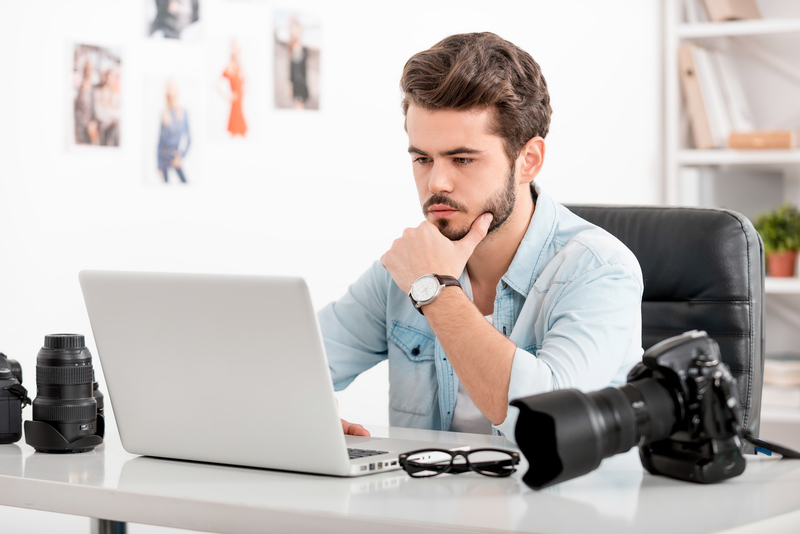 In addition, watermarking all of your images can be time consuming and, after all that photo shooting and post-editing it’s the last thing any photographer would like to do. As mentioned above, they can annoy thieves, but they cannot complete you from the theft; anyone who uses Photoshop can crop or remove the watermark. 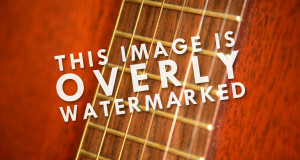 If you don’t use them properly, watermarks can look arrogant and cheap. And, although they are free branding and marketing, people hesitate to share watermarked images on Facebook, Twitter and other social media accounts. Finally, some people say that there are no images with watermarks that wouldn’t be better without them. Every photographer is working in different fields of photography and, thus, we all have different needs in terms of advertising and protecting our work. For that reason, I think that there’s no answer for this question. Personally, I like watermarks and I don’t find them distracting; for me watermarked images look signed. 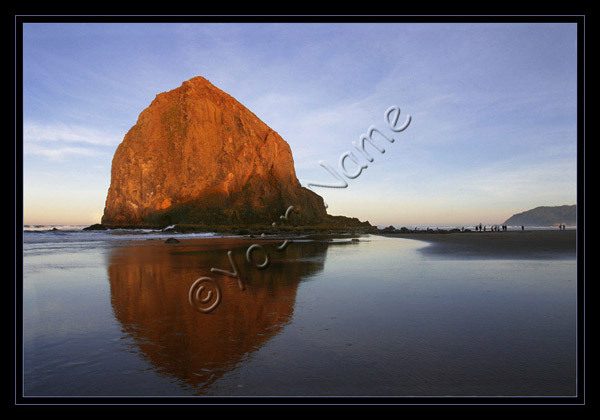 Sometimes, watermarking is a sort of compromise because many photographers don’t want to do it but feel they should. Everything depends on you, on your own preferences, desires and requirements. Since some companies have been working on better image recognition algorithms, chances are there won’t be a need for watermarking images in order to protect them. At this point, this is only a speculation and, until (and if) it becomes reality, you are the one that can and should make choice about watermarking your own work.